This fork was bought cheaply (on-one.co.uk) as the basic 80mm coil version with steel stanchions. Heavy, almost no adjustment and generally not worthy of the frame upgrade it was going on to. After a bit of research I found out that you could change out the fork internals for the 120mm Air damper. 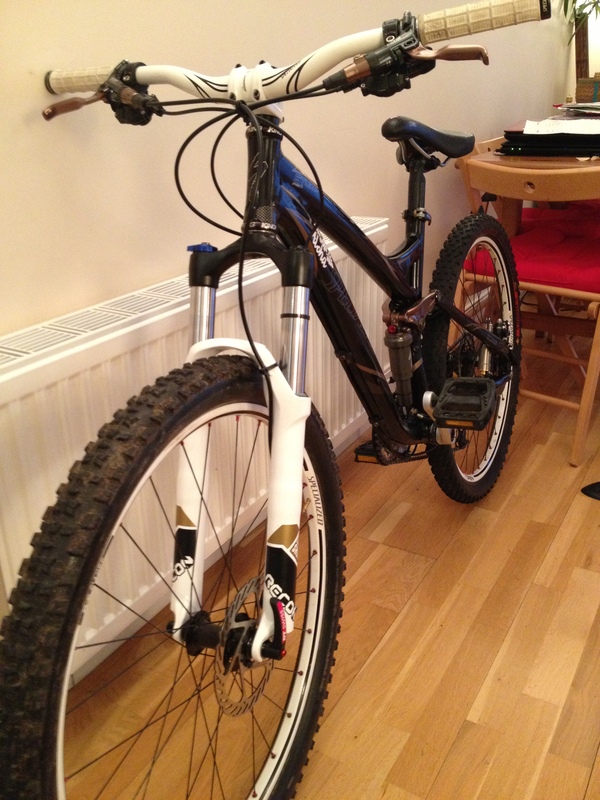 It was such an easy upgrade I was really happy this totally converted the fork’s performance for very little money. Pics to follow. Performed recently (no photos taken). Simpler than you would think, I just carefully followed instructions on the net. I went from having a fork with a few of the adjustments stuck and a bit of stiction, to a well lubricated fully tuneable fork. 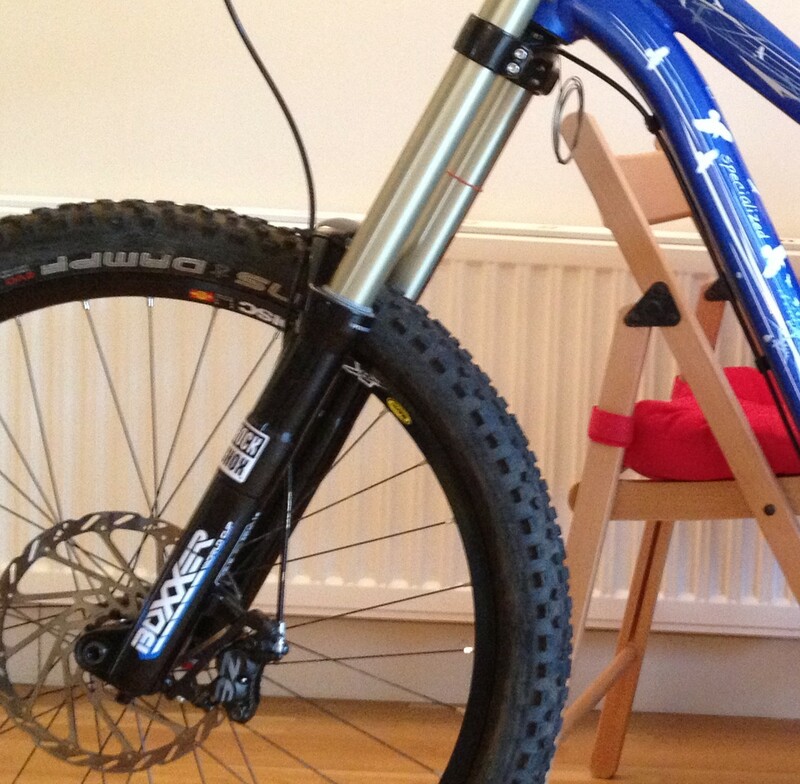 Forks normally come in basic colours and does not always go with the colour of your bike. I bought some Recon decals off ebay and applied to tie in with the frame colours photo below. And also bought some graphics (Slik Graphics) for the boxer world cup forks, these were bought off ebay and had a colour scheme that was hideous previously. Now they tie in with the frame colours. Horrified at the cost of specific fox or rockshox fork oil, I normally buy motorbike fork oil, ensuring it is the same weight and viscosity as the MTB branded stuff. That saves many pounds !! !